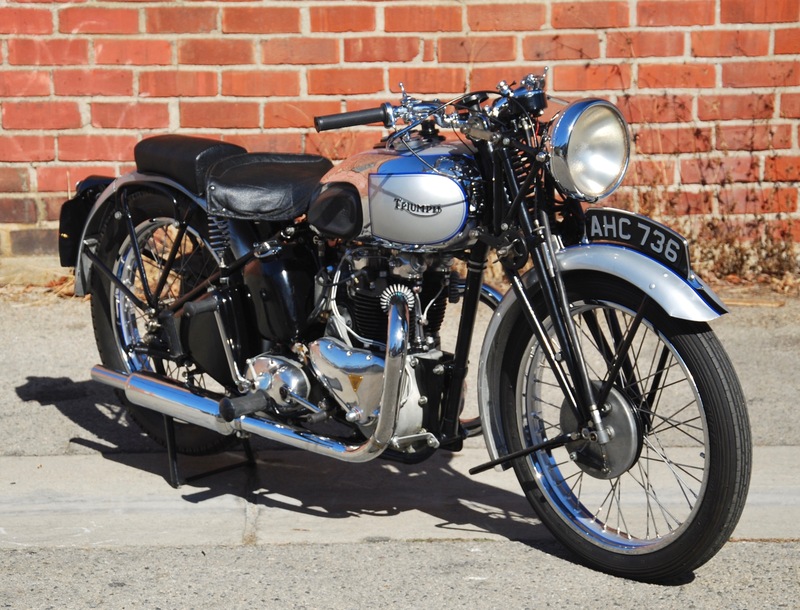 Only 3 owners from new and superbly restored! 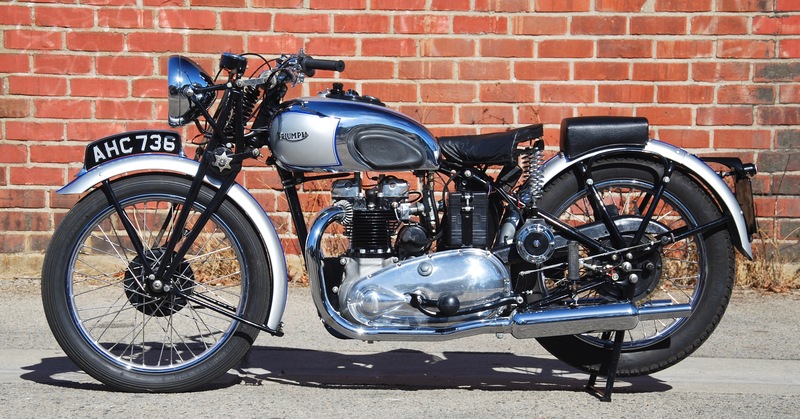 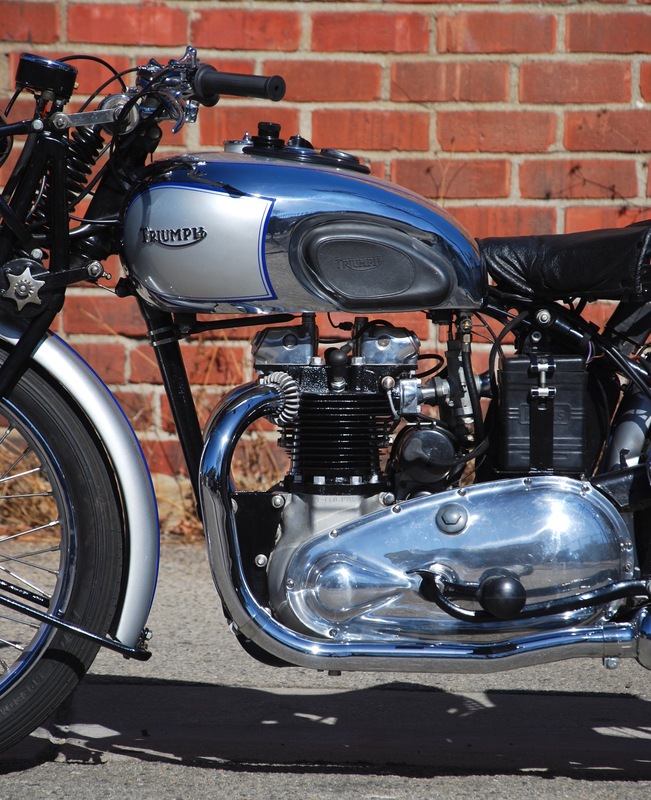 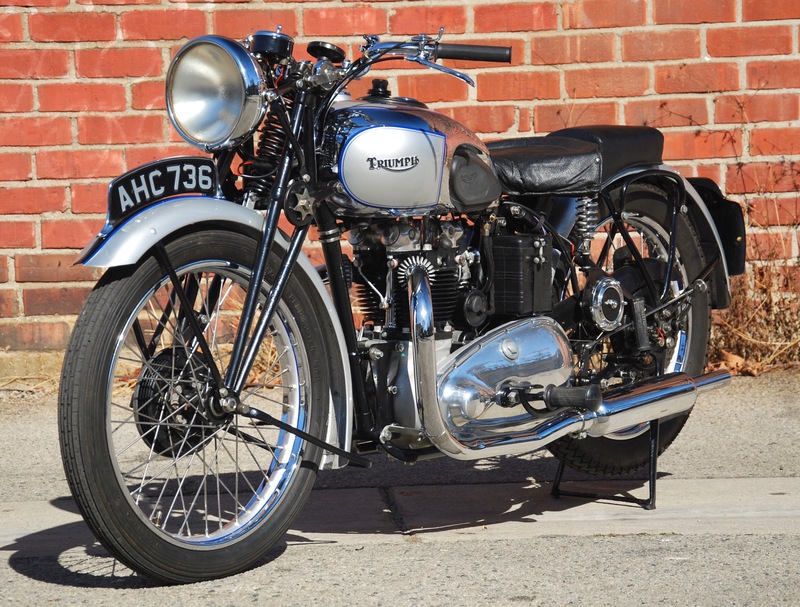 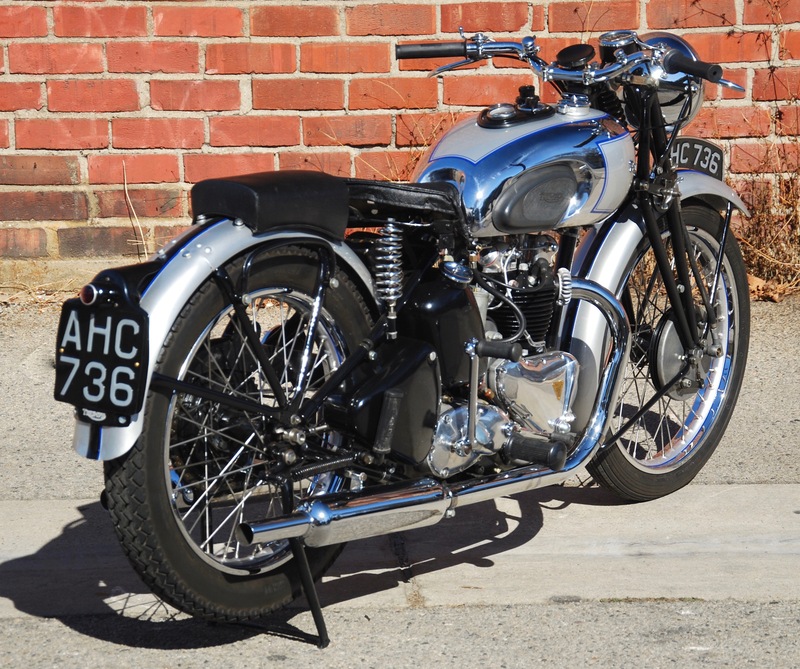 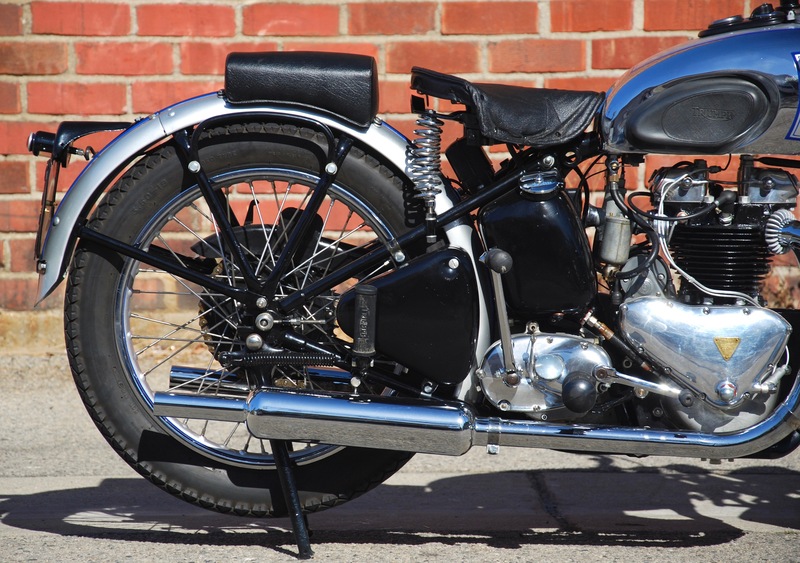 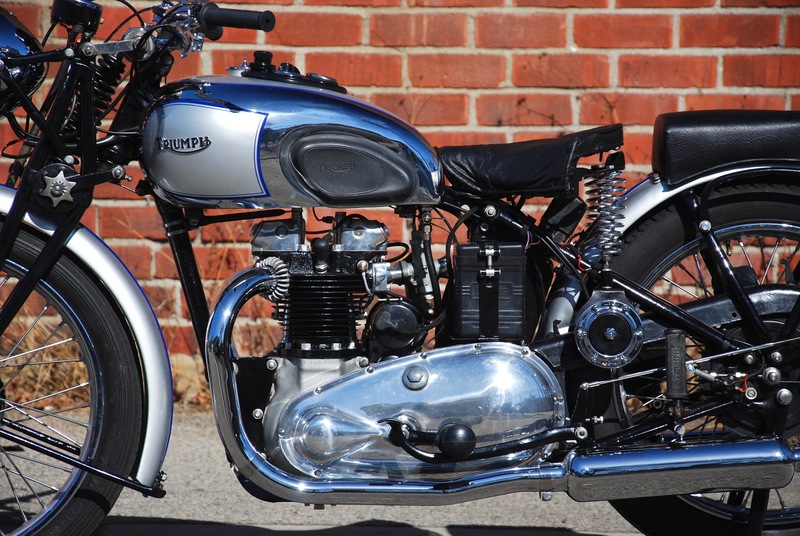 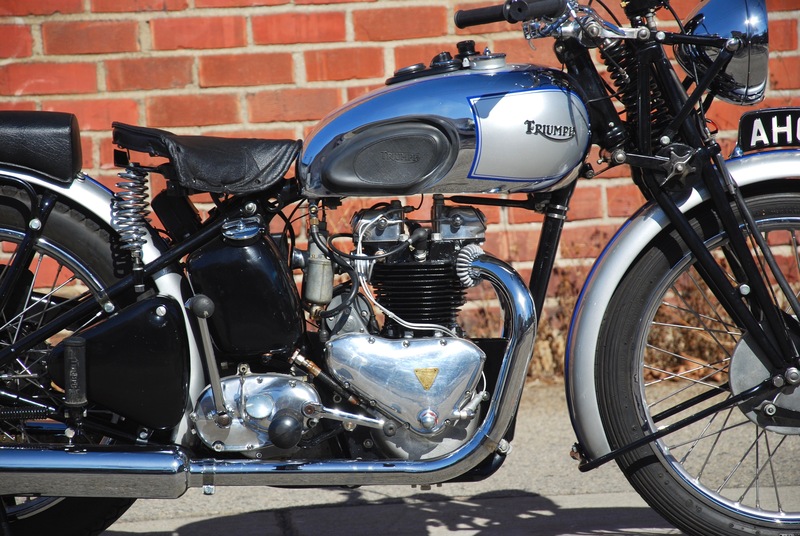 Although Edward Turner’s Triumph Speed Twin caused a sensation when it appeared at the 1937 Motorcycle Show, few of its admirers could have guessed how influential the design would prove to be. 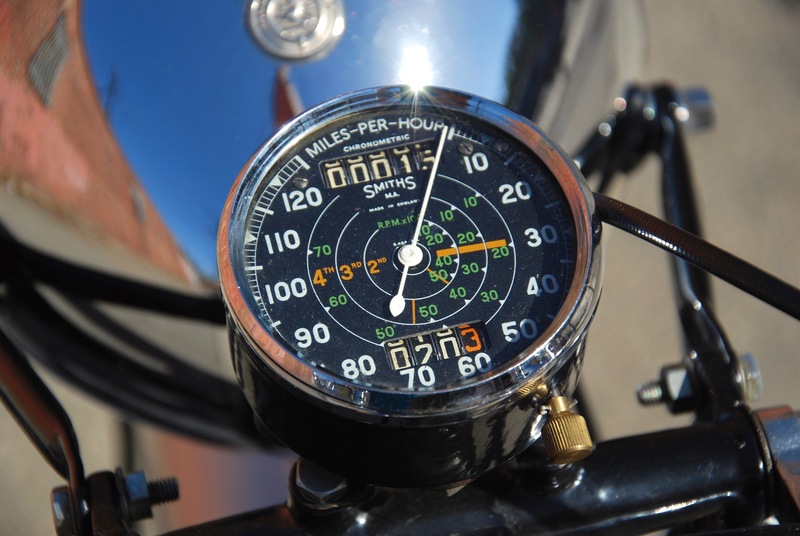 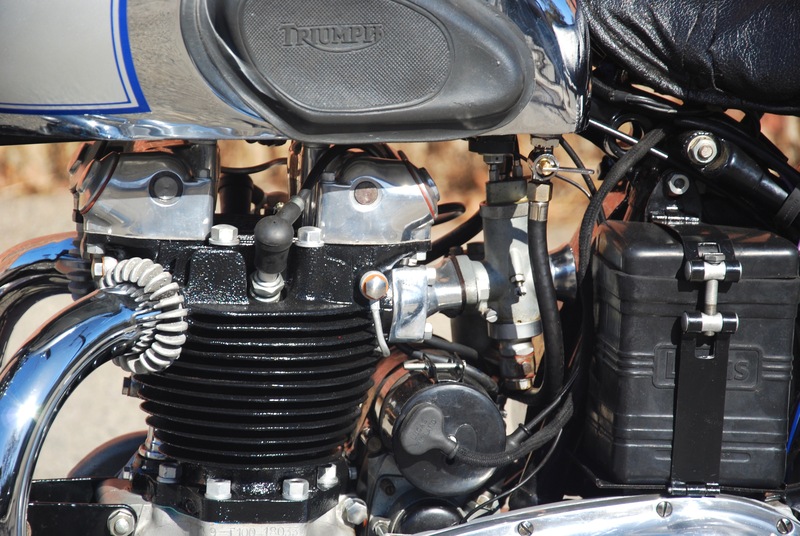 Previous vertical twins had suffered from excess bulk, but Turner’s was lighter and narrower across the crankcase than the contemporary single-cylinder Tiger 90, whose cycle parts it shared, and from certain angles looked just like a twin-port single. 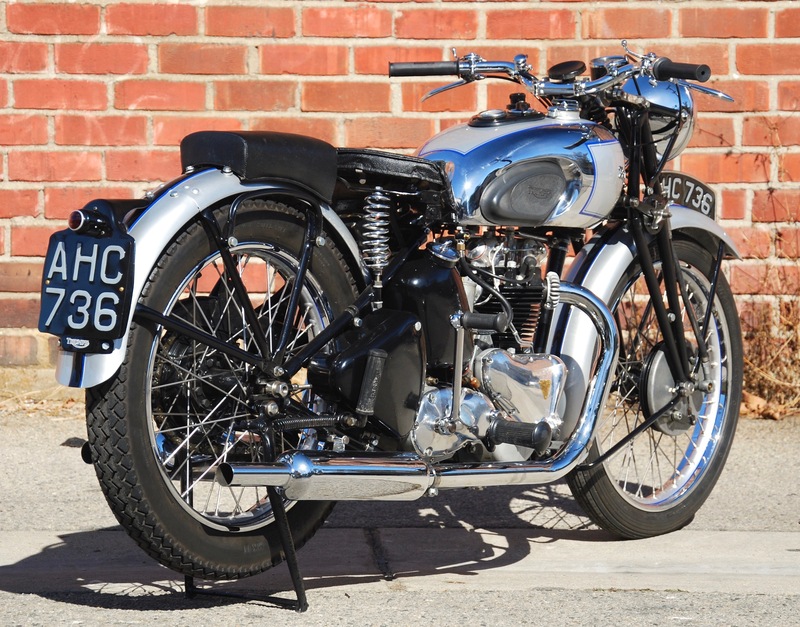 This was just what the conservatively minded motorcycling public wanted and the Speed Twin proved an enormous success for Triumph. 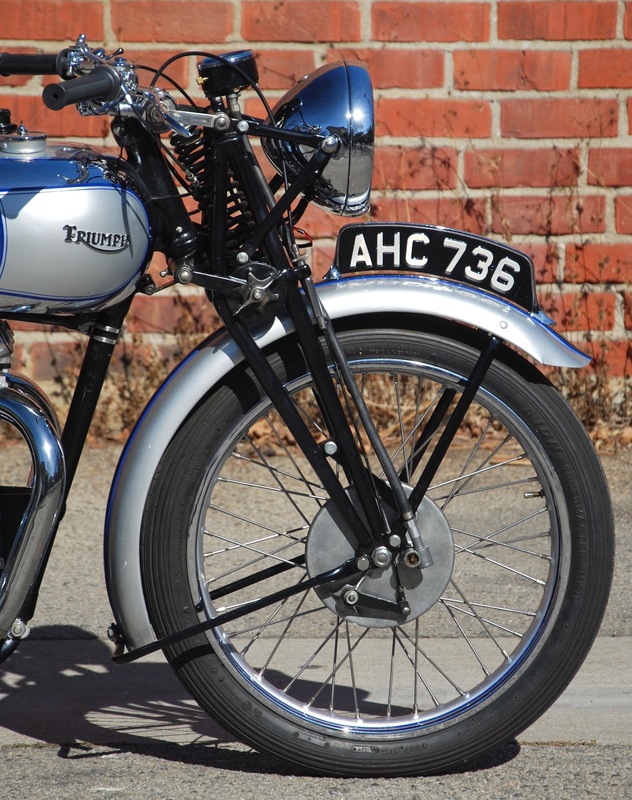 The Tiger 100 was launched in 1938. 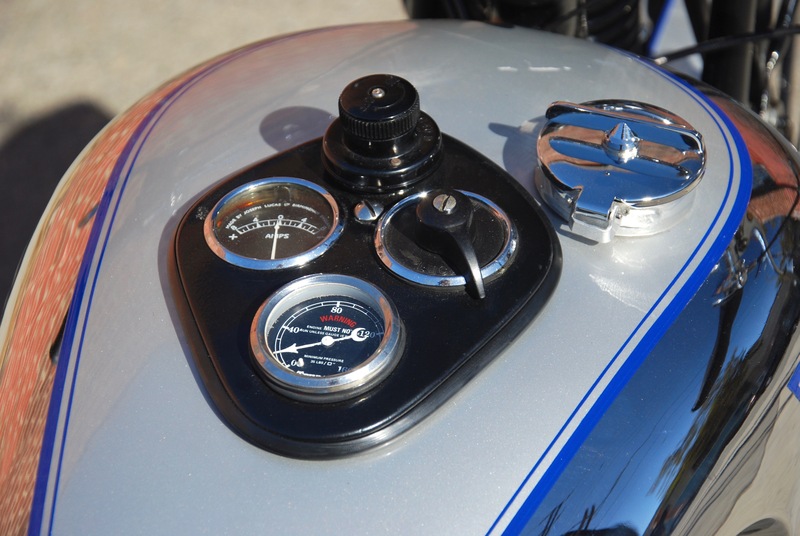 Performance was boosted by the use of high-compression forged pistons and polished ports and internals, the result being a machine that could touch 100mph in road trim and exceed it with the silencer end-caps removed. 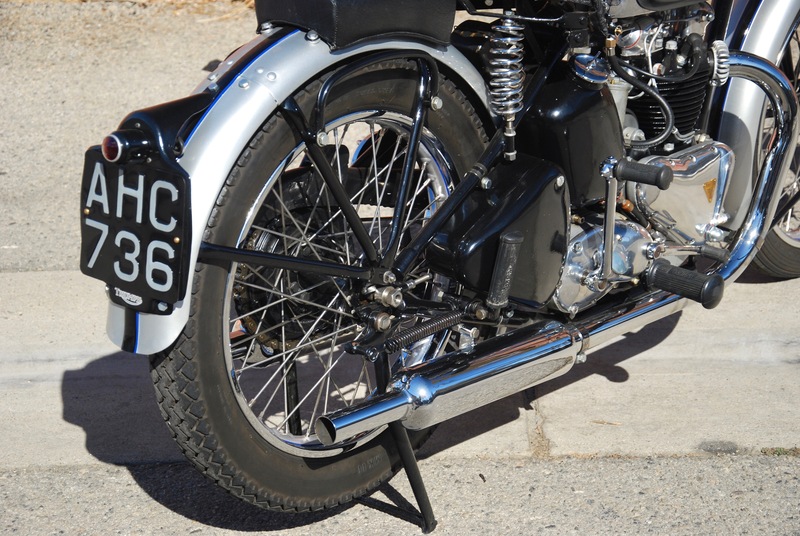 When production resumed in 1946, the T100 reappeared with telescopic forks in place of the original girders, and separate dynamo and magneto instead of the pre-war version’s magdyno. 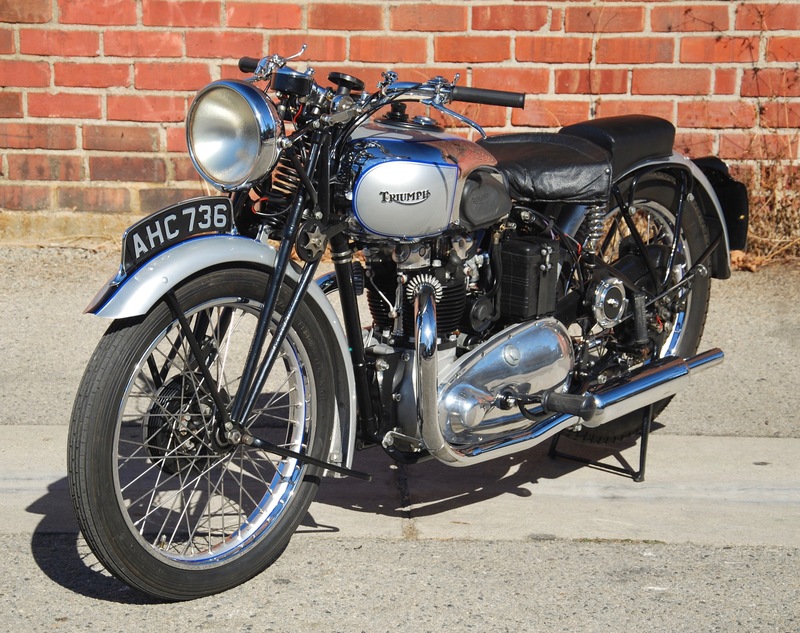 The rare Pre-War T100 offered here was subject to an exquisite restoration by the previous owner. 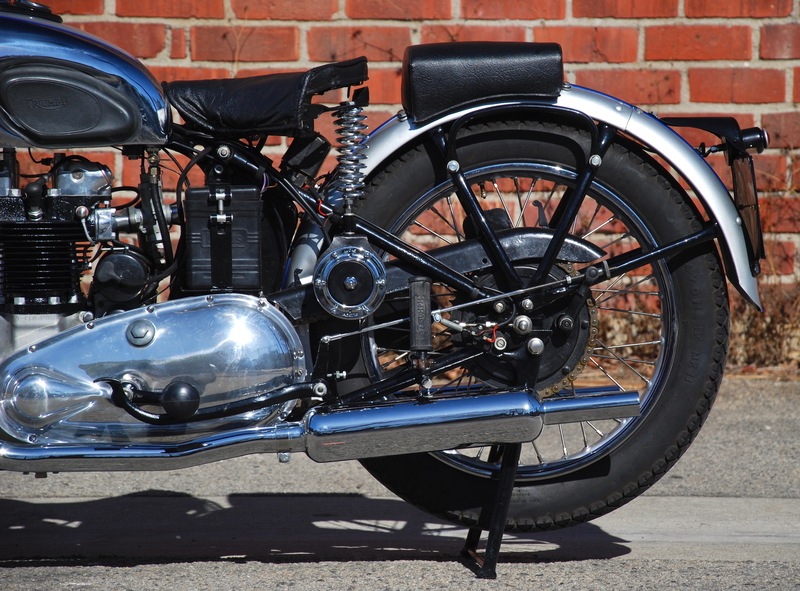 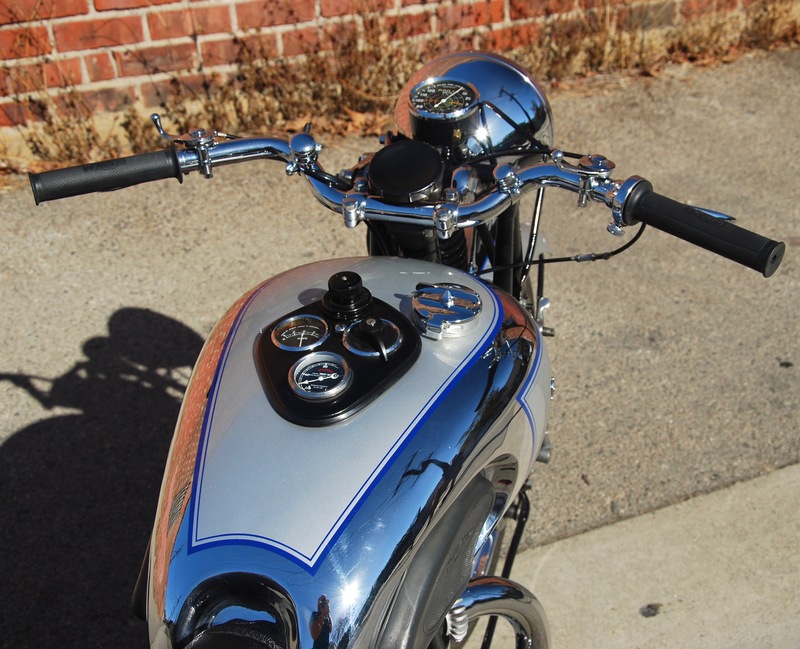 Sourced from the second owner in France, the bike was completely dismantled and rebuilt with all original parts, refinished, repainted, rebuilt and restored. 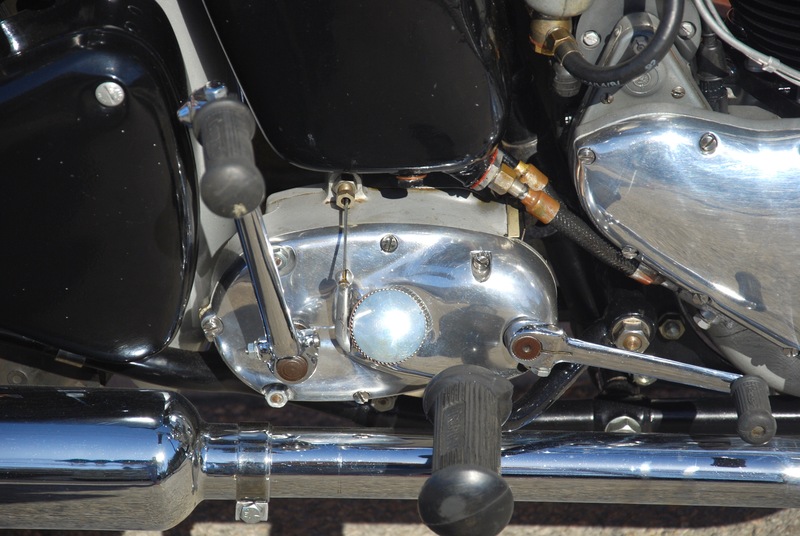 Paint and brightwork are to concours condition as are all finishes and hardware. 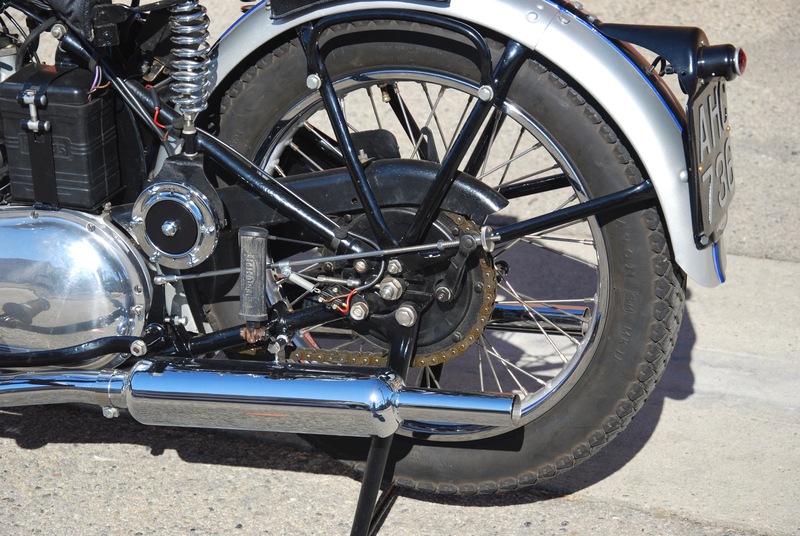 The bike starts easily, idles smoothly and rides as good as it looks. 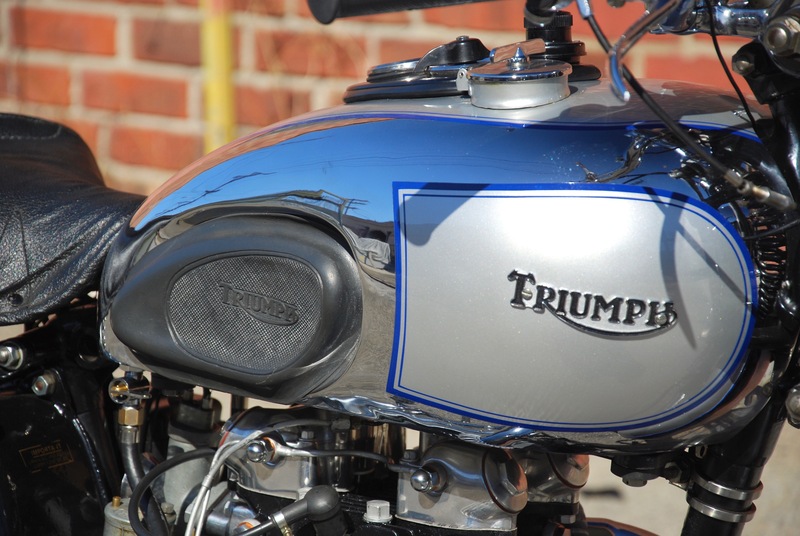 The exhaust note is amazing! 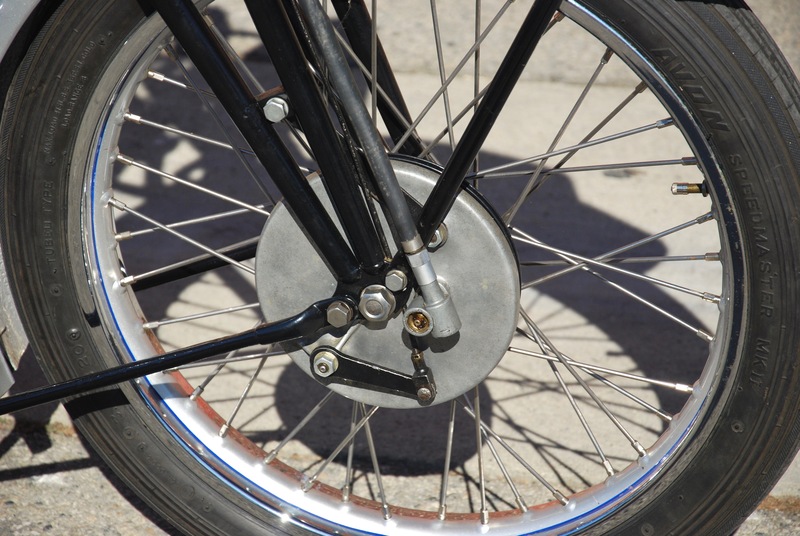 Brakes and suspension match the power and smoothness of the bike. 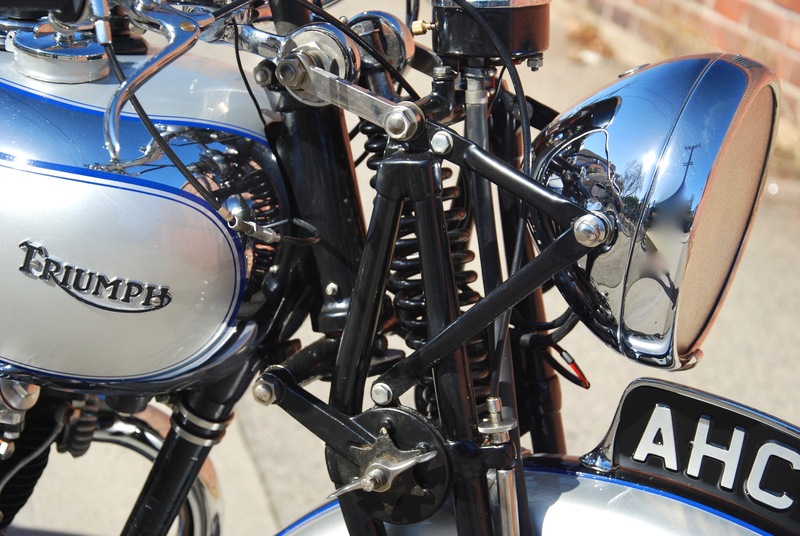 Everything works as it should, including all electrical systems. 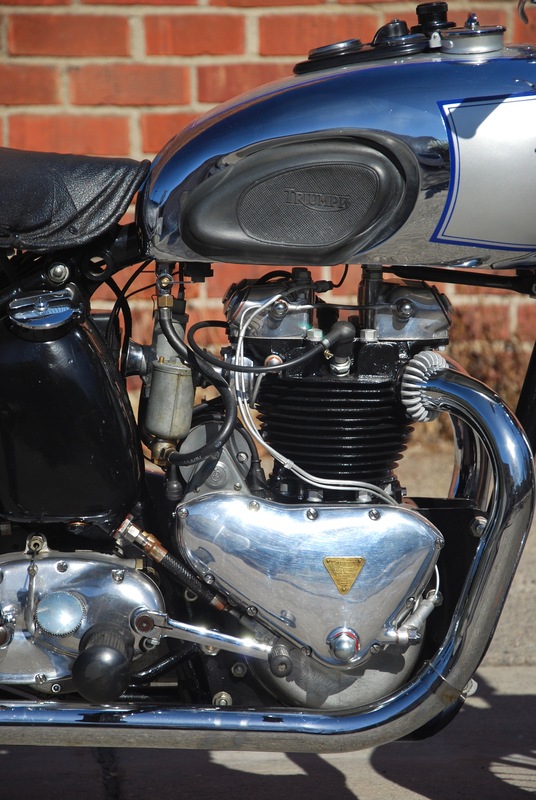 We recently went through the bike to ensure the bike is not just the show piece presented, but a reliable and fine running machine, ready for any tour or rally. 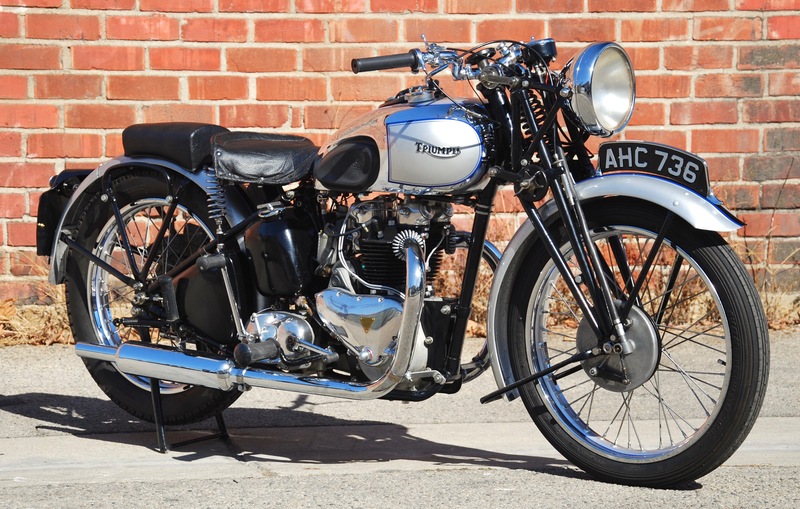 This is a fantastic opportunity to acquire an extremely rare, turn-key concours show bike, which is ready to be ridden on any rally or tour with great ease and reliability.